SATURDAY MODEL @ PANZA GALLERY X. 18x24in. / 2016. / Pastel on Paper / Unframed / Sealed with Fixative Spray. I AM A PLEIN AIR PAINTER utilizing oil and pastel. 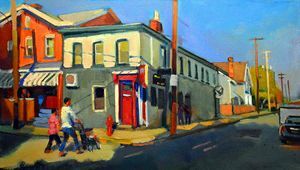 I am a long time member of the Associated Artists of Pittsburgh (AAP) and also the Pittsburgh Society of Artists. 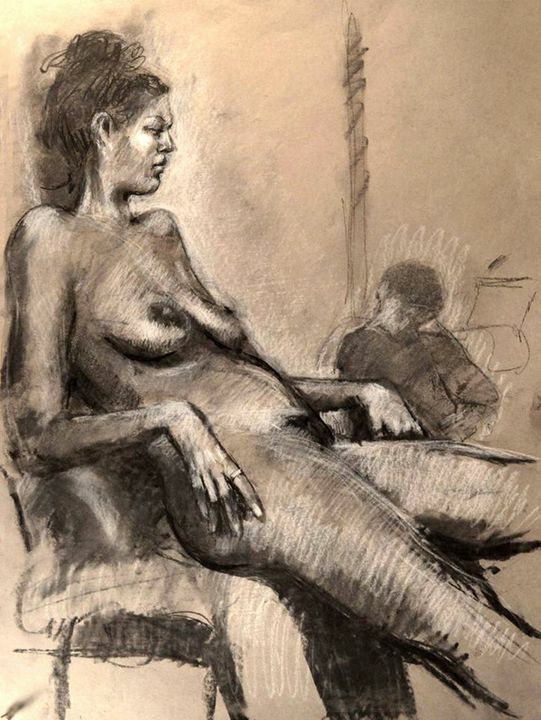 I am a former facilitator and attend regularly open model studios at Panza Gallery in Millvale. I am a frequent contributor to Panza Gallery exhibits. I AM INSPIRED by direct observation and the plein air process. I enjoy playing with color and composition within the framework of linear perspective. 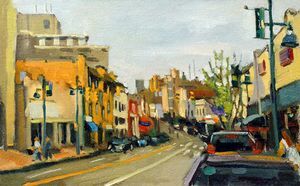 In addition to painting plein air cityscapes, I regularly paint 3 hour sessions of both the figure and portrait. I TEACH summer Painting Workshops to teens and Pastel Painting Classes to adults at the Touchstone Center for Crafts. I have been teaching with Touchstone since 2007, and previously taught Middle + High School Visual Arts in the Pittsburgh Public School system for 12 years. I was the guest Pastels Instructor at La Roche College for Instructor Ron Donoughe. 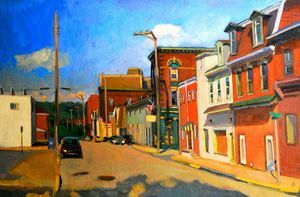 Recently, I have enjoyed demonstrating oil painting at Community College of Allegheny County, Boyce, and art leagues in Bethel Park, Penn Hills, West Hills and Beaver. SOUTH MAIN & 1st St.